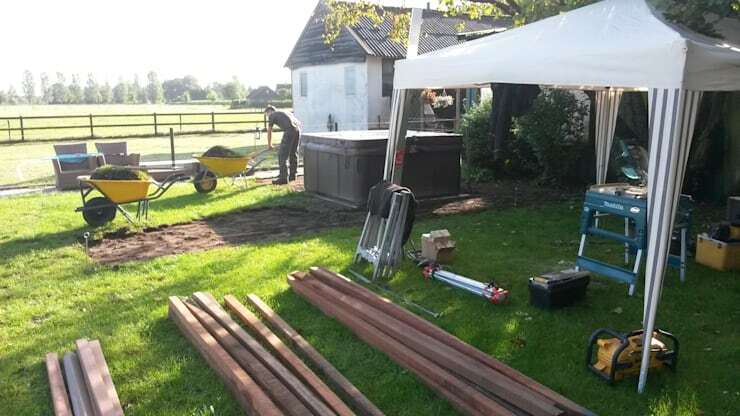 Building a pergola is hardly easy, let's be honest, but it is one of the tasks that you can manage yourself with a little bit of DIY enthusiasm and a weekend set aside to get into it. An outside hut or patio area can be one of the best places in the world for South African families to share meals, morning cups of coffee or play board games, especially in the summer months. 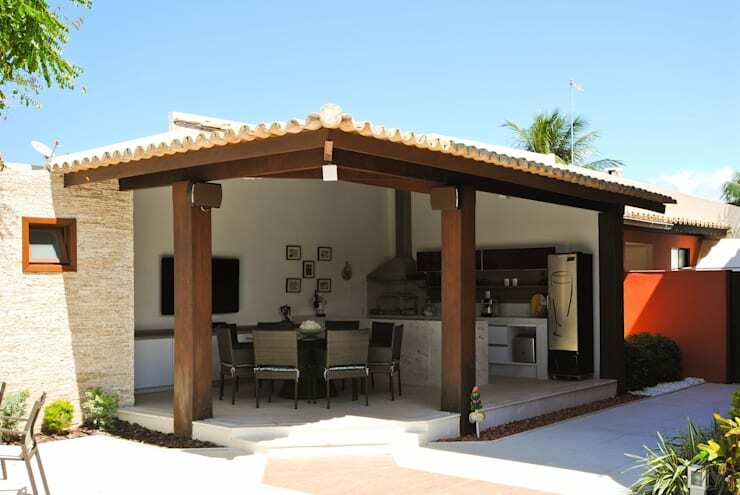 It can sometimes be difficult, however, to choose the right design for your outside hut or patio as you need to think about the desires of each of the family members, ensure that it is stylish and create a comfortable spot. You may often ask yourself what the right materials are for an outdoor patio or hut? What decor is appropriate for this space? How big should it be? This is why today at homify we have put together an ideabook for you to read through, which will give you the top tips when it comes to creating the most stylish and comfortable outdoor hut in the yard. The choice of design depends entirely on you and your preferences! The shape, space and place where you construct it purely dependent on your needs and desires. You do want to make the most of this opportunity, however, so pick a place in your garden that is open and well ventilated. You'll probably use a braai in this area, so you don't want any food smells to linger. Also choose a spot that won't get too smokey or is too close to the house. You don't want to smoke out your gorgeous interiors. Have a look at these ideas on: How to achieve patio perfection. After you've determined where your hut should be placed, it's important to evaluate certain aspects. For starters, examine the ground where the hut will be constructed and check for any underground pipes. You'll also need to test whether or not this ground is stable enough for you to construct a patio or hut on it. Don't forget that damp areas are not suitable for this type of construction. If your original spot isn't working out, it's OK! Just find a new, more suitable spot. After deciding on the right place to construct your patio, it's important for you to decide on the type of flooring that you will use for it. There are so many varieties of materials available for this type of structure, but you'll need to have a look at your budget. Some of the most common types of materials that are used for this space are wood, tiles and polished concrete. These materials will remain durable and hardy, no matter how often the space is used, while remaining stylish, modern and beautiful. This is usually one of the most fun parts of building a hut, because this is where we get to include our creativity and our personality. While this outdoor space must be both comfortable and functional, we mustn't forget about the beauty of the design of the structure. Square, rectangle or circular shapes are most commonly chosen for this type of space, but keep in mind that the structure will need to work with the external conditions. Ensure that it will remain stable and will last no matter what the weather conditions. You also want to be able to enjoy this space, no matter what the weather! 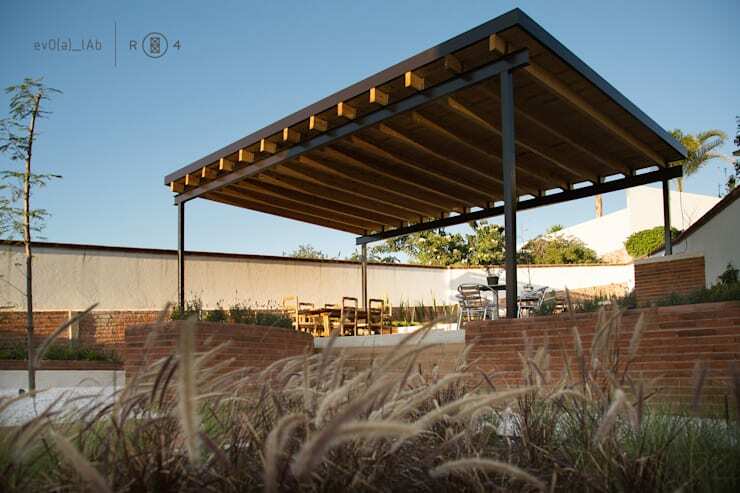 Tip: If you want to include a braai area in this space, take it into account when deciding on your structure. Have a look at these: Tips for adding an oven to your terrace. The choice of material for the roof should be chosen very carefully for two reasons. Firstly, you want the roof to protect this space even in the most drastic weather conditions. Secondly, the roof will determine the overall style of the hut and needs to work with the structure that we have chosen. In this kind of project, it's important that the ceiling is high enough so that it circulates air. It should also be aesthetically pleasing to the eye. If you're concerned about choosing the right roof, chat to a professional about the best choice for your hut! 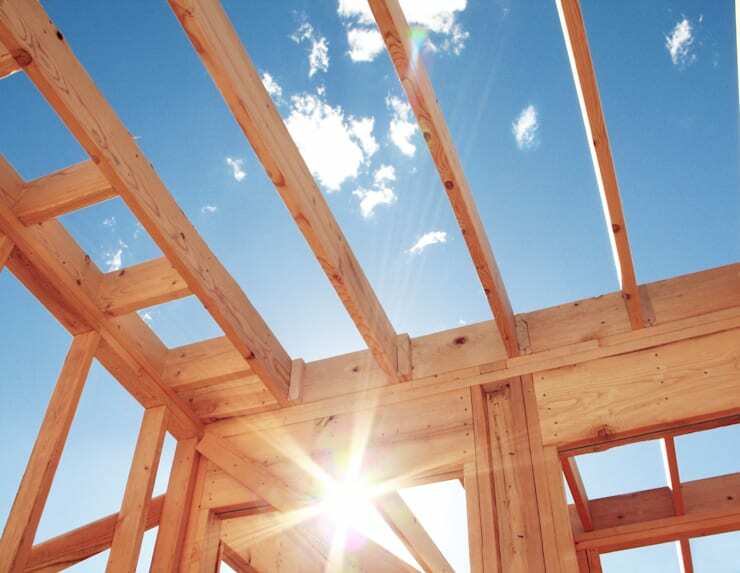 The materials you have chosen will depend on the type of building that you want. 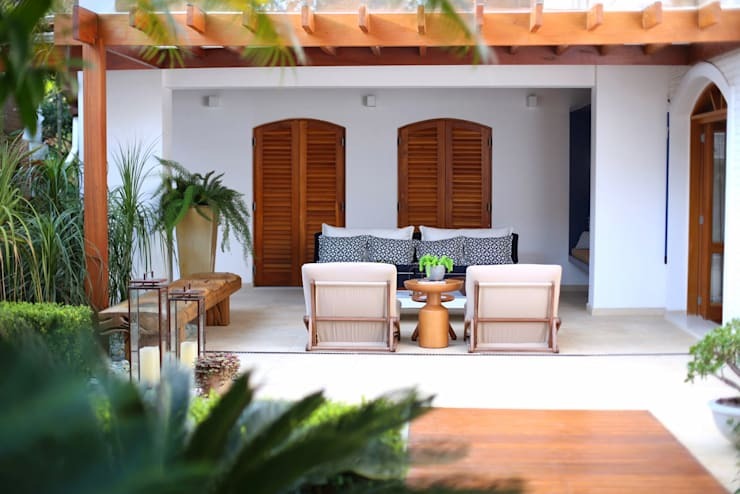 Wood is one of the most preferred materials for an outdoor space like this as it's easily adapted to natural environments and offers warmth and a sense of freshness to any place where it is used. Another widely used material is iron. Iron is often used for columns or beams, contributing to a much more sober look. 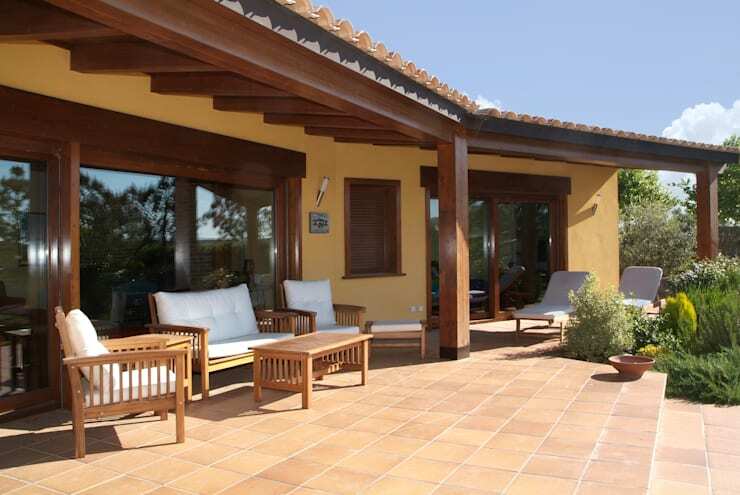 This can blend in seamlessly with a wooden roof, so people can enjoy a mixture of styles. Now that your outdoor hut is completed, have a look at the patio products for inspiration on how to furnish this space! Would you build your own outdoor hut?